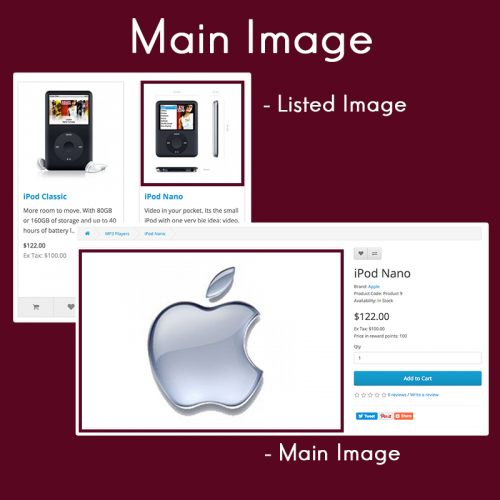 Do you need to show a different main image on the product listing and the main product page? This is exactly what you are looking for! You will be able to set a different image for the same product with this extension. 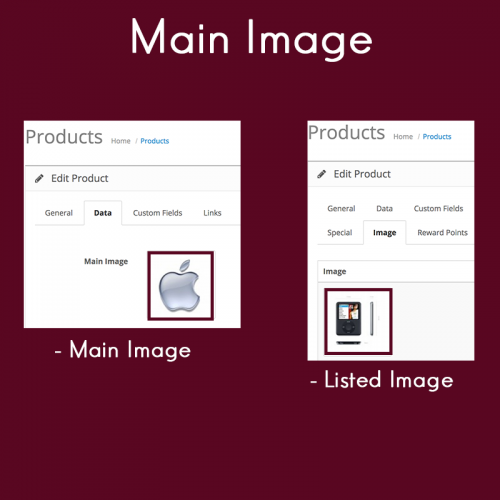 For example, you can have one image for the product on the category listing page, and another different image for the same product in the product page. Click on "iPod Nano" and note how we can now have 2 different main images for one product now.